Treat The Pup You Love to a Crunchy Treat! Looking to add a little crunch to your dog's day? At The Pet Beastro, we're big fans of the K-9 Granola Factory's Crunchers Dog Treats. These oven-baked granola goodies come in Pumpkin, Coconut, Pro-Fusion, and Grain-Free options and all Crunchers are wheat-, corn-, and soy-free. 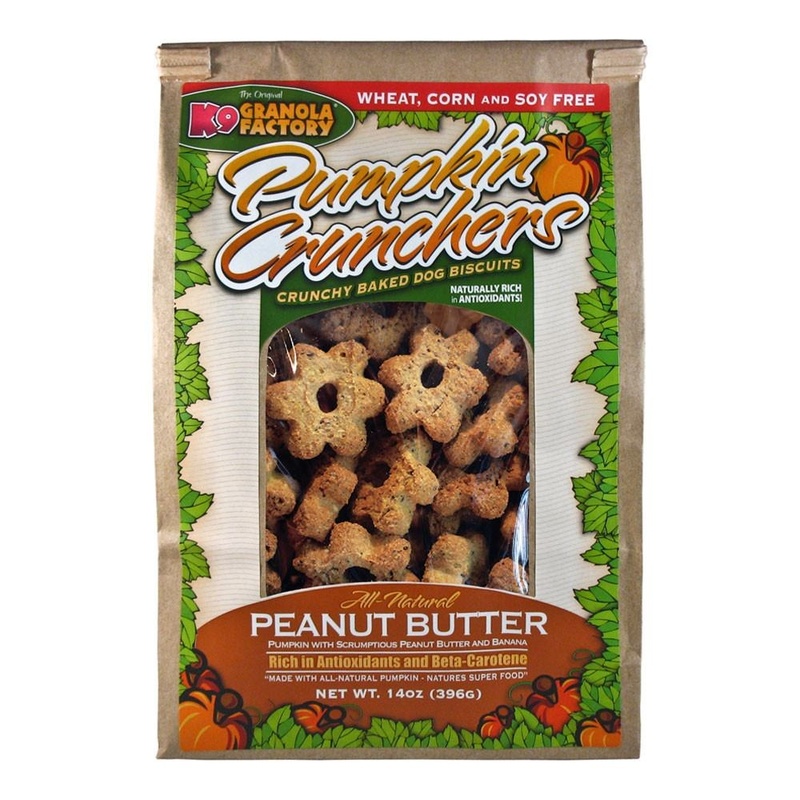 Pumpkin Crunchers - Available in four flavors, all baked with pumpkin as the first ingredient. Great for dogs with sensitive stomachs. Coconut Crunchers - Made with organic virgin coconut oil and are as healthy as they are delicious. Pro-Fusion Crunchers - Made with green beans and applesauce. Loaded with Cruncher flavor, but with fewer calories per treat. Grain-Free Crunchers - Offered in three flavors and oven baked using the unique Cruncher shape. K-9 Granola Factory is a family business focused on the importance of designing flavors that are not only nutritious but delicious too! Using only the highest quality ingredients and combining them with oats and honey to create fun loving flavors, the result is a crunchy treat your dog is sure to love! Ask about K-9 Granola Factory's Crunchers and other treat suggestions for your favorite pup the next time stop by The Pet Beastro!